In a 3rd World country like the Philippines, application for passport is definitely not instant and not walk in the park. So any shortcut that can help you squeeze extra time is very much welcome. To save you time from going to a photo booth, you can try having your existing pictures transform into a standard passport photo online. With idphoto4you.com, you can upload a picture up to 6MB in size. Just select the photo of yours, select your country then hit the upload button to start the creation process. The website uses face detection technology to detect the starting location to crop the uploaded photo. 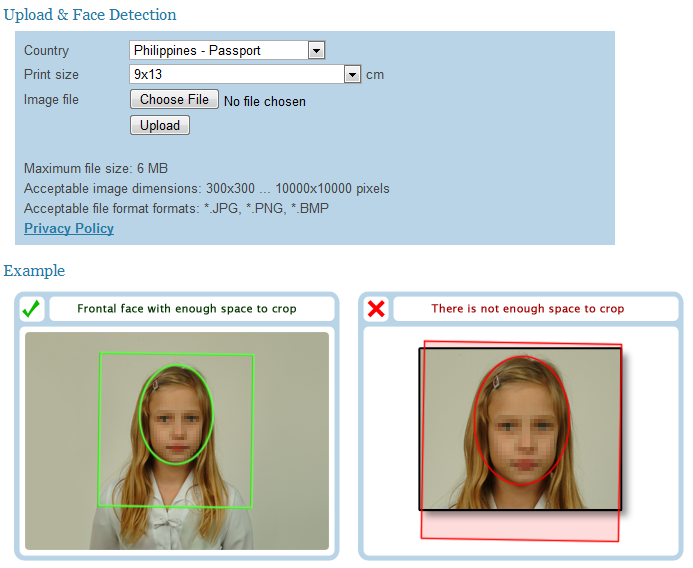 If face detection is successful, the web app will automatically crop the photo to fit the standard passport of the country you selected. Rest guaranteed that whether your attention is on nature of photographs, appearance of the corner.! Hurrah! In the end I got a weblog from where I be able to actually get valuable information concerning my study and knowledge.